This product is supplied as a download and usually delivered within 1-3 business days. 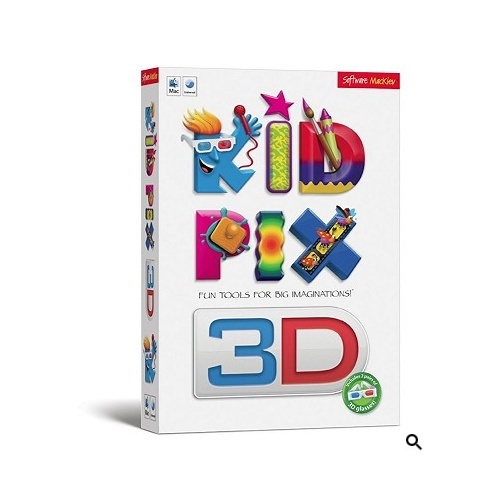 The biggest leap forward in a decade for the #1 student drawing and painting creativity software, Kid Pix 3D has everything your young artists need to tell their stories and adventures on screen. The "3D" part of the name refers to the wonderfully rounded new 3D animations and multilayered 3D backgrounds. Easy path animations let characters hop, jump and fly around the screen, and a hundred wonderful movie backgrounds add a touch of Hollywood. Using a variety of animated costumes, students can star in their own digital documentaries. And with the new "flipbook" button students can easily create a 60-second animated short story all their own. New in this edition: Storytelling text-to-speech voices from Acapela bring student stories to life. Set the scene with dozens of rich, multi-layered 3D backgrounds. Easy path animation tools let 3D characters move and interact. Create floating stickers out of anything on the screen. Simple layer tools teach about spatial relationships and perspective. Video narration and animated costumes let students appear in their stories. Set the scene in foreign lands with 101 video backgrounds. Use dual audio tracks to add both narration and music. Add pictures directly to slide shows with the Add to Slide Show button. Make stop-action short "flipbook" films with fast transitions. The Undo Guy can fix just about anything with unlimited undos and redos. Transform animated pictures and slide shows into 3D movies. 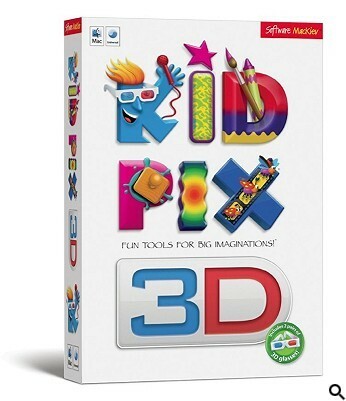 Publish Kid Pix animated 3D adventures directly to YouTube.